Upgrade your tubular screw-in lighting with premium and non-premium LED replacements from MEBULBS™ that will brighten up your surroundings. 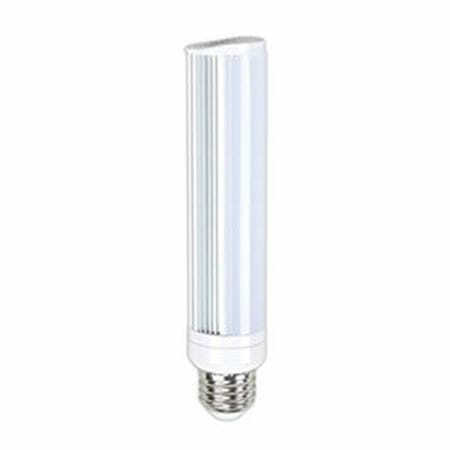 Tubular screw-in lights are typically used in places where space is limited and efficient energy use is more important than high-quality illumination. But by incorporating the latest LED technology into this classic design, MEBULBS has made it possible to have both. In addition to traditional uses such as storage areas and workshops, LED tubular lamps can be set up as picture lights or display lights. Our bulbs are direct replacements for your existing fluorescent or incandescent bulbs and will instantly project a brighter, whiter light that uses fewer resources. LED lights are the most powerful in use today with high lumen efficacy ratings and the longest guaranteed life. Our tubular screw-in bulbs are manufactured to exact specifications, so they are even more brilliant than what you can find elsewhere. Incandescent tubular light bulbs radiate a dim yellow light while CFLs have slow start times and emit merchandise-damaging UV light. But Xtrabrite™ LEDs are squarely in the natural daylight spectrum, reducing glare and headaches from extended use. They also start immediately and are UV-free. Because they are so efficient, they don’t project any heat, so rooms with LED tubular lights will be more inviting to visitors and guests. Industrial quality LED lights from MEBULBS are guaranteed to have the longest life. Our commercial duty and residential duty bulbs are no slouch either, with long warranties and quality that is often better than big box stores can offer. Shop today and find multiple lumen outputs and color temperatures with a medium base for common tubular screw-in features. These lamps will work with either 120-volt residential electrical systems or 277-volt industrial systems so you don’t have to choose when you order. Contact us today and let our knowledgeable service representatives assist you in getting a high-quality LED that fits your lighting budget.